Back in June, Google announced it would be rolling out “power save” mode in Chrome in order to increase page load speed and reduce power consumption by blocking various plugins, including Flash. As part of this change, Chrome will automatically pause Flash content that is not considered central to a user’s experience, including Flash-based video and display ads. Flash will still be supported on Chrome, but these ads will only play when initiated by the user. Flash ads will show a static image until a user clicks to activate the ad, likely resulting in lower CTRs and overall performance for these ads. While Flash initially allowed for some really powerful ad creative production, its popularity continues to decline over time. 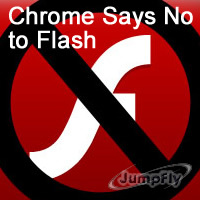 Safari never supported Flash content, Amazon banned Flash ads on their ad platform, and Firefox also made a similar move back in July, blocking all Flash on the browser due to reported security risks. Google Chrome will change the way it serves Flash ads on September 1st. Online advertisers will have to upgrade all current Flash ads to the HTML5 format in order to achieve ad animation without required user initiation. 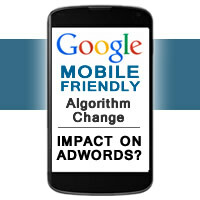 Google is automatically upgrading “eligible” ads to HTML5, stating that, “Over half of time spent online is now spent on mobile devices. This presents a tremendous opportunity for marketers to reach their customers throughout the day, whenever they may be browsing. But there is an all-too-common barrier: many mobile devices and some browsers do not currently support Flash. That’s why we’re introducing a way to automatically convert Flash ads to HTML5, giving advertisers better access to the portion of Google Display Network inventory that is HTML5-only. Eligible Flash campaigns, both existing and new, will now be automatically converted to HTML5 when uploaded through AdWords, AdWords Editor, and many 3rd party tools.” You can use Google’s Swiffy tool to determine if your Flash ad is eligible for conversion to HTML5. If your various PPC advertising campaigns are running flash ads, this change is something that should be further explored. If flash ads are just a small portion of your current ad inventory and their results have not been historically any better than static ads, then there is nothing to worry about here. However, for advertisers that run a great deal of successful flash ads, this change can have a substantial impact on future results. If you have not already explored transitioning your animated ads to HTML5, now would be a really good time to consider that path. 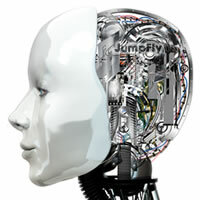 JumpFly unveiled revolutionary proprietary PPC management software, available exclusively to JumpFly clients. This world-class resource provides an additional level of account review and analysis that competitors cannot provide. After years of development, JumpFly’s powerful PPC alerting software now tracks all client accounts, providing another layer of valuable monitoring and critical performance based analysis. This one-of-a-kind software was developed in-house, over several years, by experienced PPC professionals in order to help all JumpFly clients realize the best results possible. Software alone cannot understand every unique variable relating to each specific client’s business, but when properly developed, acts as an invaluable tool to help identify potential opportunities or areas of potential concern. JumpFly’s software currently triggers alerts based on hundreds of pre-set rules, providing each JumpFly client another set of automated eyes that helps monitor results all day every day.